Petros is based in Hertfordshire and the neighbouring counties. Regular, monthly, dressage and jumping clinics are held near Harpenden. Happy to travel further whilst also considering the costs involved. Hone in your and your horse's skills in dressage, show jumping or cross-country. Private and shared lessons can be arranged to suit individual needs. Prices for one to one sessions are around £35 per hour depending on the requirements. Just get in touch to discuss your equestrian needs and Petros can suggest the most cost effective way to fulfil them and put in place an action plan and program for building success. Petros can provide support and guidance at competitions and is also happy to compete your horse for you if you prefer. So if you want your horse to improve his competitive performance or you are feeling nervous taking on your first one day event and you need some help course walking and ‘finding your feet’ Petros will be delighted to be there. 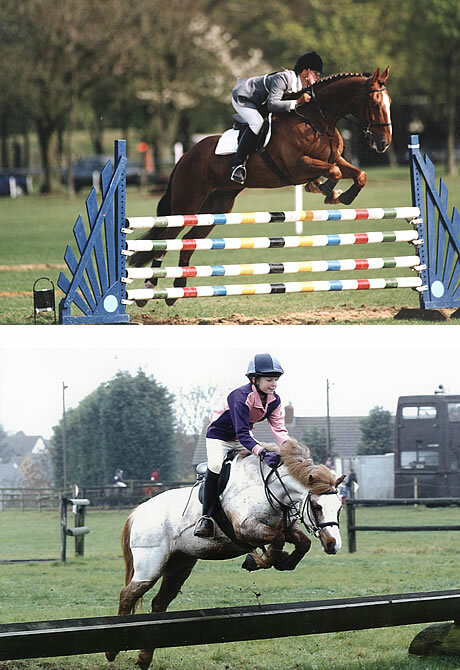 Petros is delighted to support the Pony Club and the riding club movement and is keen to offer the best quality coaching to them at affordable prices. Prommoting good horsemanship at the ‘grass root’ level is essential for equestrianism to flourish in the UK and for the talent of the future to be cultivated. Special rates can be arranged for group clinics for these organisations. Any issues concerning the care of your horses or running of the yard can have an impact on their wellbeing and performance. As the love for the horse is at the centre of our philosophy we must make every effort to provide the best possible care. Petros’s lifetime of professional horsemanship experience is available to you to help enhance the high standards of care and efficiency.